What better way to assess the needs of the community than by working with those who are affected by the implementation of policies and programs? The power of United Way is in its ability to tackle our community’s most pressing needs by mobilizing donors and community partners to give their time, talent, and financial support. At the heart of our mission is a commitment to generate volunteerism as a gateway for real change and generate roots deep in human connection. During an interview with Forbes, researcher and social worker Brené Brown asserted that genuine and inseparable human connection reaps the solution for true belongingness. It is not enough to merely provide financial support to bring about desired outcomes. Rather, we must trust the power of the people and our interdependent nature to launch us forward on a path to honest and effective social change by engaging in raw conversations with those who have been oppressed or marginalized to achieve the progress to which we aspire. It is time to get real with ourselves, with our organizations and organizational leaders, and with our community citizens about the needs we must address and how we can wholeheartedly tackle them using our vast human capital. Following the economic hardships and the escalation of disconnect among people, unraveling robust volunteer efforts can offer benefits to not only non-profit organizations and community members, but to the volunteers as well. When viewing citizens and volunteers as critical aspects of the change process, community leaders must encourage and welcome all to engage in activities and events that promote civic engagement and foster a cohesive environment. According to The Center for Rural America, employing the knowledge and skillsets of community members will allow for an influx of diverse opinions and viewpoints, lending to an array of solutions. The formation of such solutions can lead to effective and beneficial outcomes received by those who participate in community programs. Gathering insight from people with distinct experiences relieves, to some degree, the stagnation of social change experienced by leaders and organizations who view social change and solutions through a single lens. It is this participation in volunteer service and community events that fosters a dynamic relationship between leaders and members of the community in which they serve. The development of this relationship creates an atmosphere of learning in which leaders capture a glimpse of the lifestyles embodied by community members as community members gain an understanding of how agencies operate and the ways in which carried-out programs generate change and create an impact. If we want to maintain a lasting impact, we must meet our citizens where they are at. Although change is not easy, and often quite uncomfortable, following a path of direct support by people in the community creates a stream of opportunities for nonprofit leaders and organizations to shine light in dark corners. By understanding the value of human capital and volunteerism, the impact made by nonprofits can surge to new heights and reach a larger audience. Here’s to equipping, inspiring, and engaging with others to invest our time in accomplishing positive change! 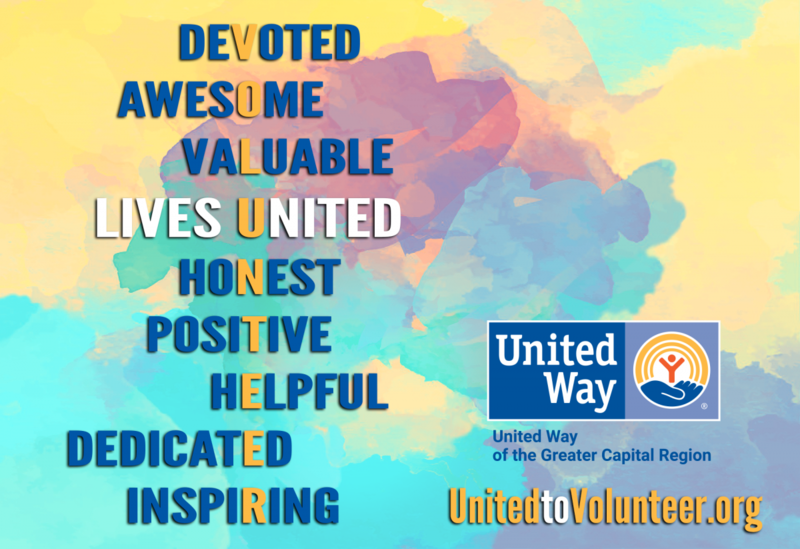 I am proud to be part of United Way’s 5.18 Day – the largest single day of community impact. More than 40 nonprofit service projects await your consideration. Can’t volunteer? Then join the CDTA “Stuff the Bus” book drive – our goal is 10,000 books for distribution this summer to local children.